By reading the signs and anticipating the influx, a sufficient approach could have been constructed years ago that would allow for the support of those seeking refuge. Instead the opposite was done. Katie Rashid is a writer specializing in the Middle East and International Migration. She has an MSc in International Relations from the London School of Economics and formerly worked for the Arab Studies Institute and Northwestern University’s MENA Program. The refugee crisis splashed across the news daily is not new. While it has certainly taken a new turn—the International Organization for Migration estimated 350,000 detected migrants at the borders of the EU between January and August of 2015, up from 280,000 in 2014—it is rooted in years of violence and war around the world. It did not start a few months ago with the increase in the number of arrivals and an increase in capsizing boats. Refugees fleeing from war, violence and repression in Syria, Eritrea, the DRC, Afghanistan, Iraq and Nigeria, just to name a few, are all victims of conflicts in unstable states that have been raging for many years. According to Eurostat’s May 2015 report, there were 431,000 asylum applications filed in the European Union in 2013, and 626,000 in 2014. In 2014, asylum applications from Syria alone reached 122,000. From 2000 to 2014, the IOM reported that 22,000 migrants died in an effort to reach Europe. Earlier this month, the president of the European Commission Jean-Claude Juncker called for the implementation of a quota system in which each member state would be responsible for resettling the 160,000 people currently in Greece, Hungary and Italy. According to this plan, the number of people accepted would be based on each country’s current population, economic strength, unemployment rate and the number of asylum applications approved over the past five years. 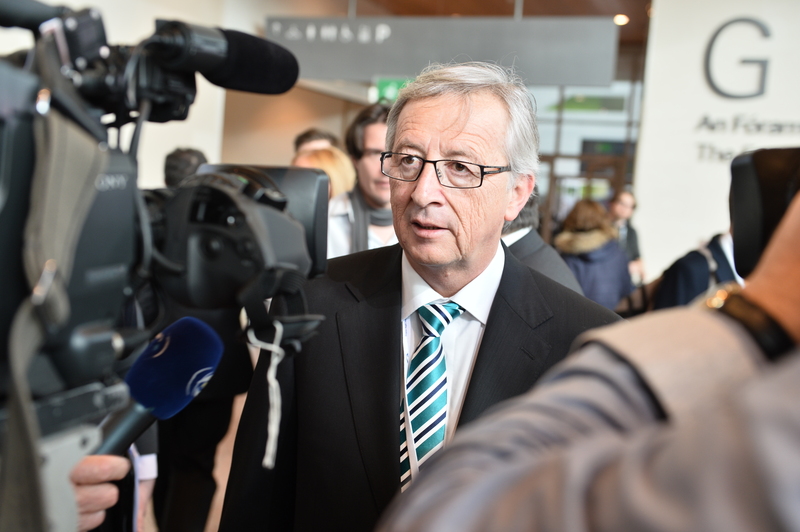 In his State of the European Union speech on September 9, Juncker warned, “Do not underestimate the urgency. Do not underestimate our imperative to act.” Yet, despite Juncker’s strong call to action, Germany so far has been unable to persuade Hungary, Slovakia, the Czech Republic and Poland to accept the system. The question we are left with is why the EU has been so late to take action. With more than 430,000 asylum applications filed back in 2013 and the same conflicts raging that have brought in a steady stream of refugees for years, the European Union should have seen this coming. That the EU is only now scrambling to find an approach to this situation with no agreement in sight is just one more disturbing reality of the migration crisis. Furthermore, whatever the EU comes up with will be just that—an approach. A plan that will allow for its states to simply “do something” with the thousands upon thousands of migrants crossing their borders. Once the EU comes to an agreement on where these individuals should go and how many should be sent, they will then face the even larger task of supporting the refugees in the asylum and integration processes, both immensely complex systems in their own rights. By reading the signs and anticipating the influx, a sufficient approach could have been constructed years ago that would allow for the support of those seeking refuge. Instead the opposite was done. A glaring example is the termination of Italy’s Operation Mare Nostrum in October 2014. Responding to the death of 300 migrants off Lampedusa in October 2013, the Italian government initiated Mare Nostrum to prevent further migrant deaths at sea. A true search and rescue mission, in its single year of operation it was estimated to have saved around 150,000 people and covered about 70,000 square kilometers of the Mediterranean. Battling its own recession and trying to absorb what it could of the people landing on its shores, Italy simply could not afford the 9 million euro per month that Mare Nostrum cost. Thus it pulled the reigns and Operation Triton, conducted by Frontex, was implemented in its place. In contrast to Mare Nostrum’s expansive coverage, Triton extends only 30 nautical miles from the Italian coast and has a budget of 2.9 million euro per month. It is meant not to be search and rescue operation but merely a border protection system. Within the first few months of 2015, Triton saw a dramatic rise in deaths at sea. In April, the EU heads of state attempted to bolster the operation, tripling its financial resources and adding more vessels, but its impact still cannot be compared to that of Mare Nostrum. The equation is simple: those fleeing war and escaping conflict and human rights abuses at home will continue to arrive in Europe as long as these dangers persist. However, rather than anticipating the increase in refugees seeking safety via a perilous journey at sea, Italy and the rest of the EU replaced an operation that saved about 150,000 lives throughout its life cycle with one that has a much more limited capacity. Lessons were clearly not learned from the migrant influx at Italy’s southern border over the past two years, and they were certainly not passed along to the rest of Europe. Now, with the problem exacerbated into a true crisis, Hungary has responded by building a razor-wire fence along its border with Serbia and Germany is instituting temporary border controls with Austria. All the while, EU ministers scratch their heads. Perhaps the EU’s inability to plan for this crisis is a precursor to what will happen in the coming weeks and months—continued chaos at the hands of inadequate policies, a lack of unity and more unnecessary deaths. PS21 is a nonpartisan, nongovernmental, nonideological organization. All views expressed are the author’s own.